Doodle's are fun. I am happy to share with you one of the doodles that inspired the eri*doodle name. 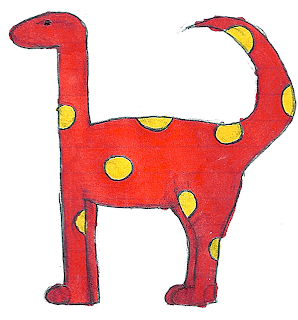 I couldn't resist scanning this red and yellow dinosaur that was drawn by my daughter. The unclean coloring and rough lines make it. You can download this png file for FREE.